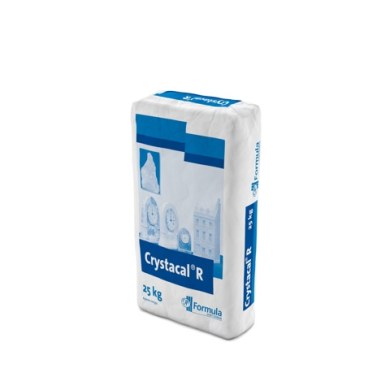 Crystacal R Plaster - Industrial Plasters Ltd.
Crystacal R is a formulated hemihydrate plaster (CaSO4.1/2H2O) produced from naturally occurring high purity gypsum mineral. White in colour, Crystacal R plaster is used to make hard casts with fine reproduction of detail. It is used in the manufacture of glass-reinforced-gypsum (GRG) structures, decorative plasterwork, giftware, dental models, and more. When stored under dry conditions and in its original packaging, Crystacal R plaster has a specified shelf life of 9 months, that commences from the date of manufacture that is printed on each sack.